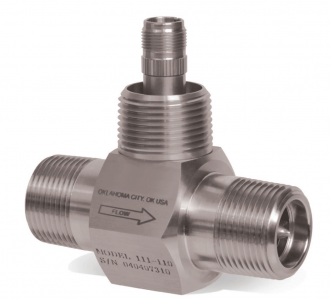 This long established range of stainless steel turbine flow meters manufactured in the USA is able to withstand the demands of the most rigorous flow measurement applications. Designed to maintain accuracy and mechanical integrity, the 1100 ranges' rugged 316 stainless steel construction ensures a long service life in severe operating environments. It meets a wide range of measurement requirements and integrates electronically with the B2800 and B3000 flow monitors from Blancett. There are accessories including; K-factor scaler or the F to I/F to V intelligent converters. 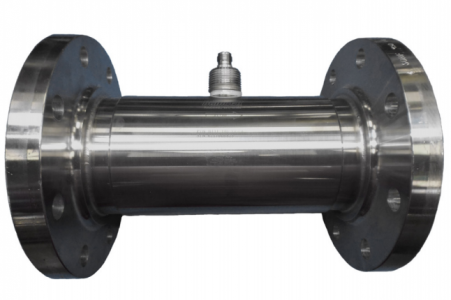 Originally developed for the secondary oil recovery market, the model 1100 is an ideal meter for nearly all liquid flow measurement applications on or off the oilfield.